I love a good stuffed mushroom. I am always delighted to see them on a table full of appetizers. They are just delicious little mouthfuls of goodness and the best part is they are super easy to make! 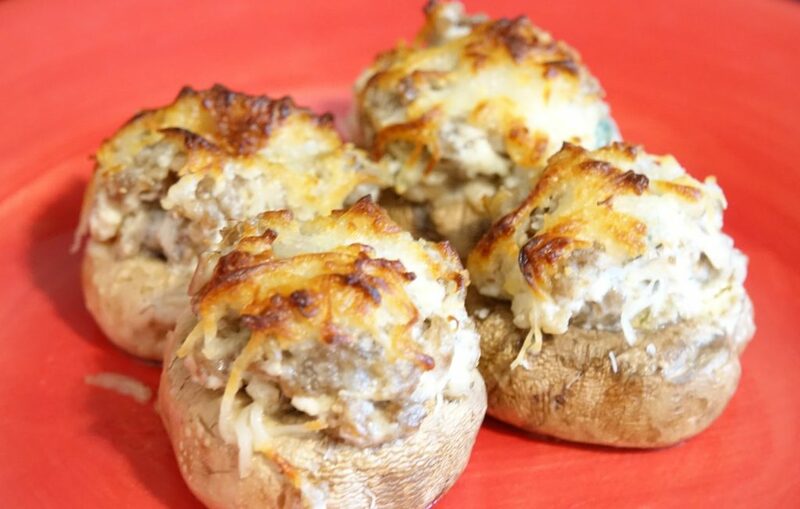 Here is my easy and delicious recipe for stuffed mushrooms. Thoroughly clean your mushrooms and gently remove the stems by wiggling them back and forth. 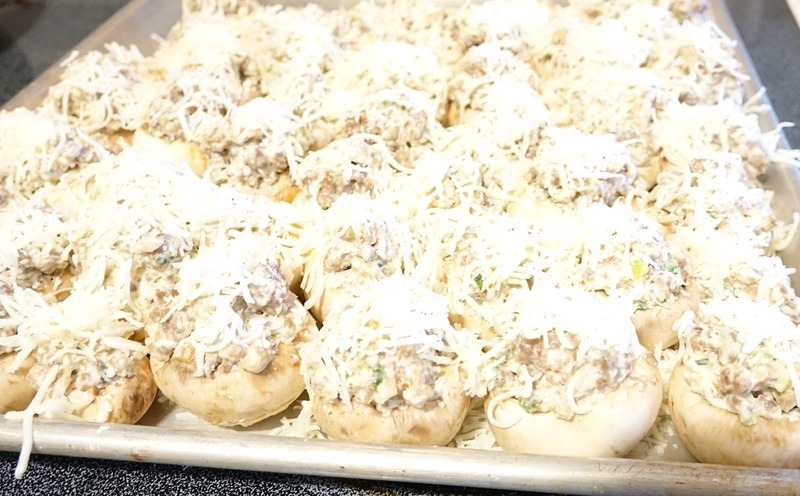 Place mushrooms in a single layer on a cookie sheet. In a sauce pan, over medium-high heat, cook the sausage until it starts to brown. Sprinkle the sausage with a little garlic salt. 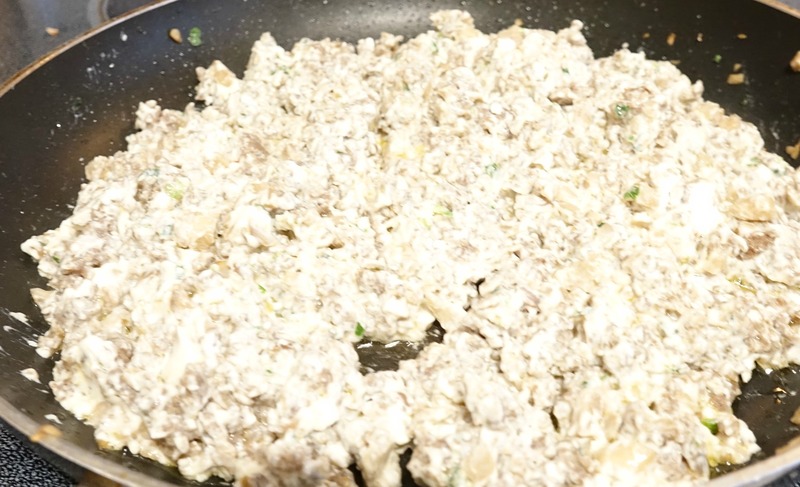 Add in the green onions, diced mushroom stems, and diced waterchestnuts. The stems and waterchestnuts will give a little more texture to your filling and make it go further. 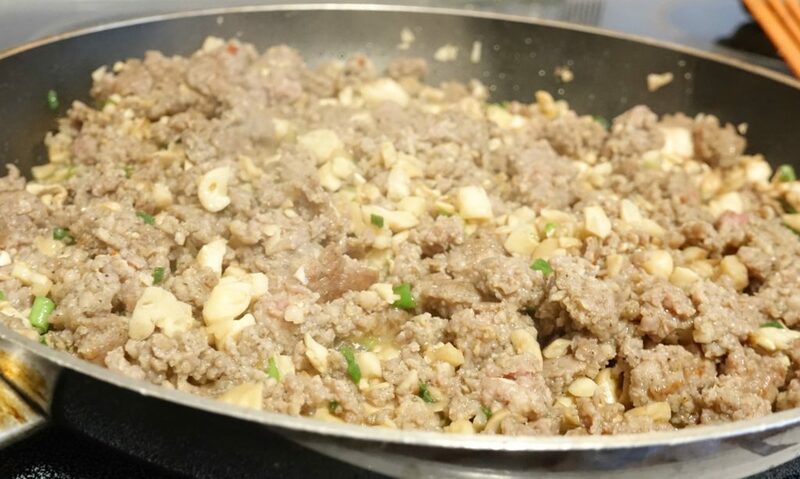 Once the sausage is completely cooked, reduce heat to low and add in your cream cheese. I like to soften it in the microwave before adding it so it will be easier to stir in. Stir it all together until it is smooth and well-blended. 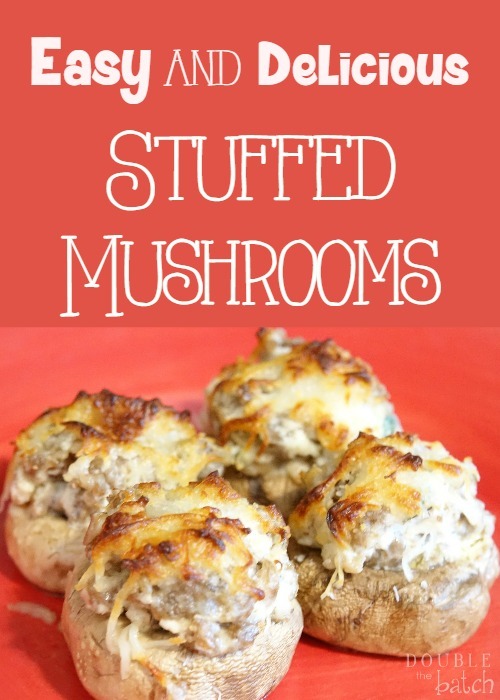 Use a spoon to fill each mushroom with the filling. Make a nice rounded top on each mushroom. Sprinkle with mozzarella cheese and cook for 8-12 minutes until the cheese starts to brown. Check out Trisha’s Artichoke Dip Recipe or Tina’s Mango Chicken Tacos for even more deliciousness!